"He's ready, Stan." "He's not ready…" Lionsgate has debuted the first trailer for an action thriller film titled American Assassin, adapted from Vince Flynn's novel of the same name. The film tells the story of Mitch Rapp, an "ordinary every day all-American athlete and scholar" who is secretly recruited by the CIA after his girlfriend is killed. He becomes one of the best assassins they've ever seen, but gets into big trouble on an assignment in Beirut. The Maze Runner star Dylan O'Brien plays Mitch, and the rest of the cast includes Michael Keaton, Taylor Kitsch, Sanaa Lathan, Scott Adkins, David Suchet, and Shiva Negar. This looks like a solid action thriller, a bit jingoistic, but that's expected nowadays. Might be worth a watch. Long before he began hunting terrorists, Mitch Rapp (Dylan O'Brien) was a gifted college scholar/athlete. Then, tragedy struck and Rapp was recruited into the nation's most elite covert operations program. After completing training designed to teach the kind of lethal skills necessary to target our most dangerous enemies, here and abroad, he is a man reborn with a mission of retribution. 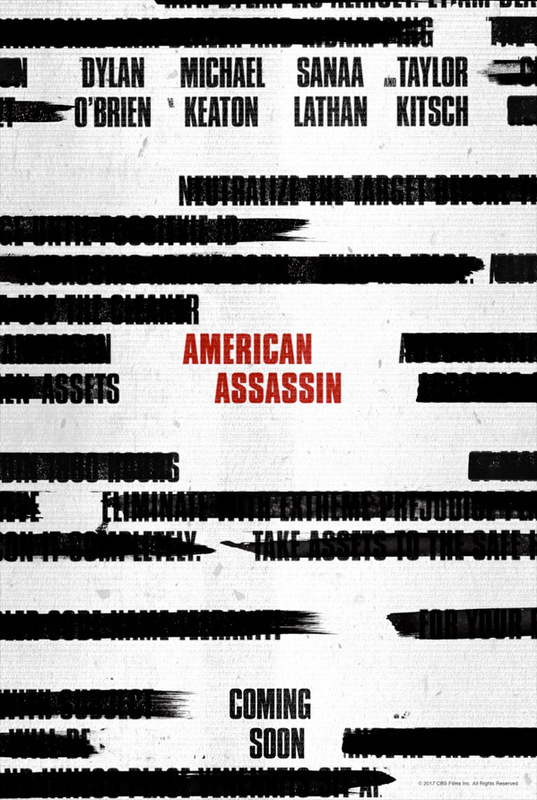 American Assassin is directed by American filmmaker Michael Cuesta, of 12 and Holding, Tell Tale, Roadie, and Kill the Messenger previously. The screenplay is written by Stephen Schiff, based on the popular novel written by Vince Flynn. Lionsgate will release American Assassin in theaters starting September 15th later in the fall. Interested?